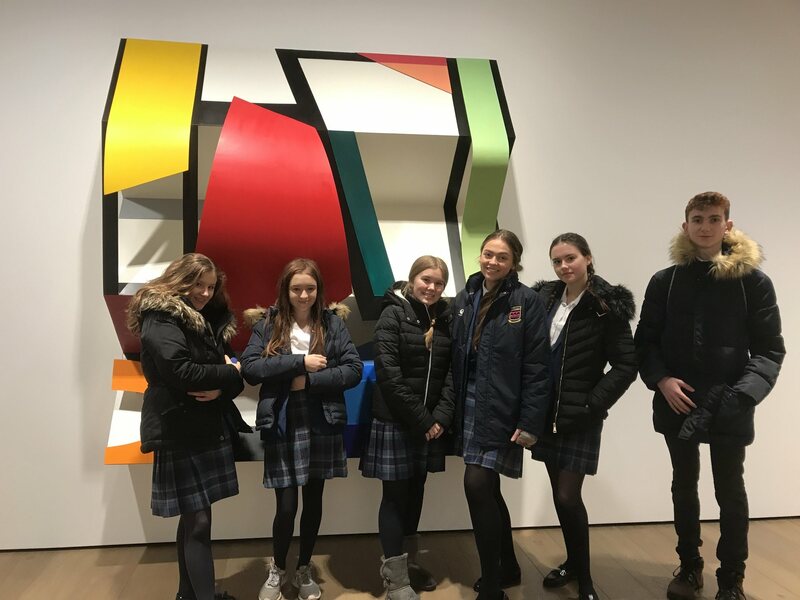 On Friday 1st February, Year 11 GCSE art pupils went to London to visit a number of small art galleries around the West End, accompanied by Mrs Mulinder and led by Mr Keenleyside, our Artist in Residence. They viewed many different and diverse pieces of art from a wide variety of artists, including Walter De Maria, Robert Rauschenberg, Sadie Cole, Tom Wesselmann, Andy Warhol and Bob Dylan, to name a few. 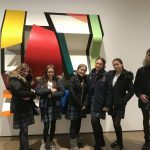 Along the way, the pupils were surprised by some unexpected performance art in the Hauser and Wirth Gallery by the artist Martin Creed, and the large hot barrier wall in the White Cube Gallery by the artist Miroslaw Balka. 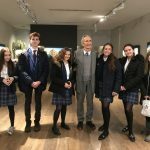 The greatest surprise was meeting the famous artist Patrick Hughes in the Alon Zakaim Gallery as he was setting up his new exhibition. 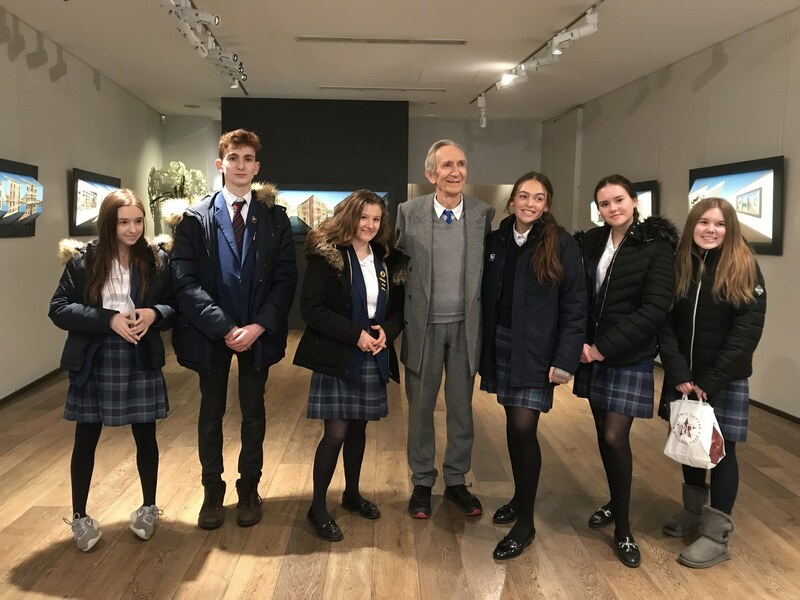 He took the time to speak to the pupils in detail about art and his work. The whole day gave the pupils a lot of inspiration for their own individual work.